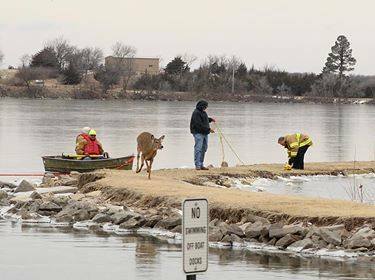 A heart warming rescue took place in the cold at the Herington City Lake on Tuesday. 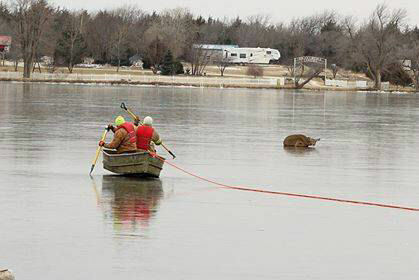 According to the Herington Fire Department, first responders saved a deer who became stranded and disabled on the frozen water. The visibly exhausted deer collapsed on the ice after giving up on trying to make it back to the land. The Herington Fire Department responded, and along with a city employee who brought a boat, got the animal to safety.